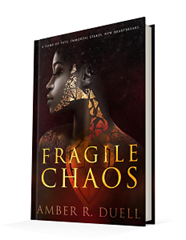 Published July 11, 2017, by Radiant Crown Publishing, Fragile Chaos by Amber R. Duell is a stand-alone YA fantasy reminiscent of Greek mythology. Fragile Chaos has the appeal of Greek mythology, but the execution is somewhat lacking in the opening chapters. The main problem with the novel is that there’s no define world building. The reader is thrust into this situation where there was a war; it is hard to gauge just what sort of environment this world resides in: is it medieval, renaissance, Grecian, or modern? So it is hard for the reader to pinpoint and figure out this world because there’s not much detail about the world, about which countries are at war and for what reason. This novel probably would have been served if it had been a sequel. 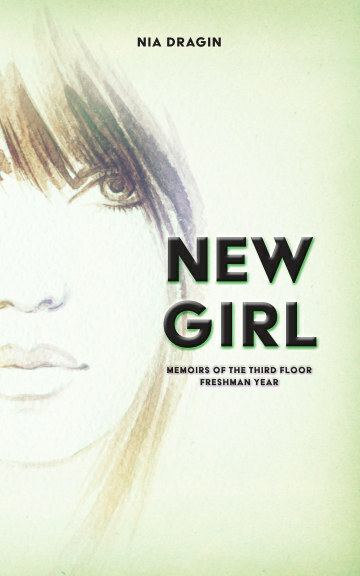 There’s so much backstory to this novel that is barely explored, details that seem to contradict details, making it just a little confusing to wrap one’s head around. As mentioned, the reader is just dropped in the middle without any warning and little preparation. So in that regard, it is a tad hard to get into the story. Be that as it may, the story has great characters and the story, again, it is very reminiscent of Greek mythology. It has such a strong essence to it, a grounded nature in the way that it tells a story. It follows these two characters as they find peace within one another, they find a home with one another. It is interesting to see the structure of the world unfold through the eyes of this character. Much like the reader, Cassia does not know what’s going, and that sense of disorientation connects to the reader or instead allows the reader to connect with the character. The reader is on this journey with Cassia, trying to figure out the war, trying to navigate between all the big players. It is a complicated game of strategy, which war always is, and Duell understands that. Duell understands the tension at play, and she builds off it, she focuses on the characters to build the proper dynamics while also allowing this edge of suspicion to linger between every interaction. Personally, this book probably would have been better served as a sequel of sorts, just so that there was this one novel before it that focused more on the Gods and the world building. It would have allowed this novel to flourish a little more instead of leaving the reader confused with trying to understand this world, the mythology, and the religions that govern this society. It is hard just to place where this novel takes place, and that is a distraction on the reader who has no idea what world they have been thrust into.